Wait? includes ? Why not contains ? View ECMAScript 6 is so 2015! Meet ES2016 on Notist. Last year we read a lot about ES6, or ES2015. Some have started using it using Babel or other tools, and browsers have started implementing it. But what about the new stuff happening this year? 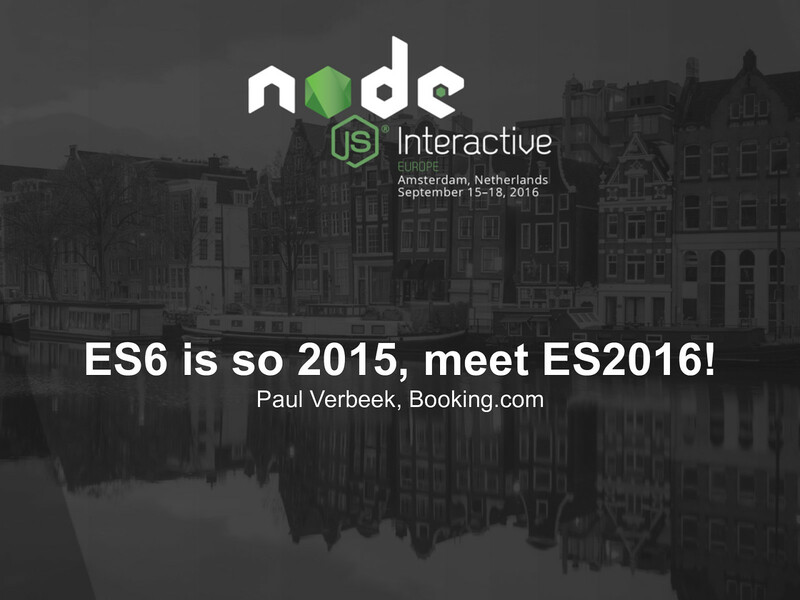 What about ES2016 (and further)? And how can you keep up to date by understanding the spec and its different stages?